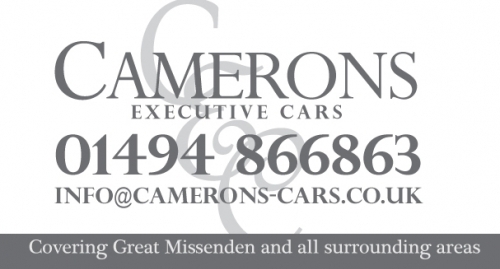 Welcome We are a well established executive car company that is able to provide a wide range of services throughout Great Missenden and all of the surrounding areas. About Us Cameron's Executive Cars has a large client base throughout our service area and over the years we have gained an excellent reputation for the high level of service that we deliver to all of our clients. We have a fleet of elegant and stylish cars including a Bentley, Range Rover, BMW, Mercedes Benz and many more. Our cars are well maintained and cleaned on a regular basis so you can travel in to your chosen destination in total comfort.